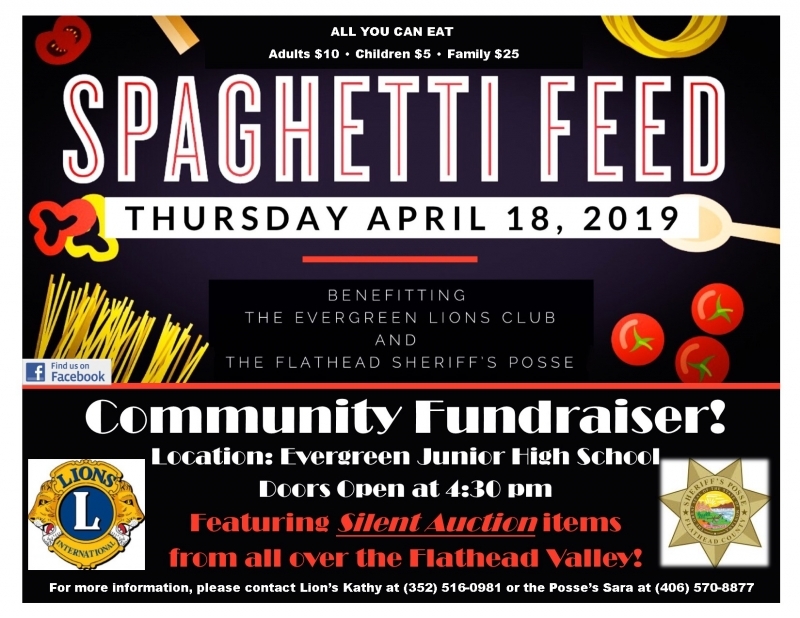 Please come join the Evergreen Lions Club in a benefit dinner with proceeds going to support the Flathead County Sheriff's Posse. The posse is working to convert the former Boys and Girls Club building into Posse Headquarters, and eventually host community events, afterschool programs and have a positive law wnforcement presence in the heart of the Evergreen Community. The posse maintains safety at community events all throughout the Flathead Valley and is 100% a volunteer organization. 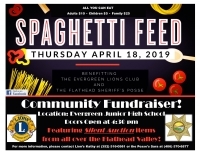 Please come support the Posse and your neighborhood Evergreen Lions Club. Doors open at 4:30, auction starts shortly thereafter.